Renowned Anti-War Icon Philip Berrigan Is Quietly Dying at Home Surrounded By Family and Friends From the Jonah House Resistance Community in Baltimore: We Talk with His Son and Daughter Who Are By Hi | Democracy Now! He has been one of the nation’s leading anti-war and anti-nuclear activists for over 35 years. He was the first U.S. Catholic priest to be jailed for political reasons and he was among the nation’s first priests to participate in the Freedom Rides in the early 1960s. And he helped found the Plowshares movement which took literally a line in the Book of Isaiah that calls for swords to be beaten into plowshares. He has spent over 10 years of his life in prison stemming from convictions for more than 100 acts of civil resistance to war. We are talking, of course, about Philip Berrigan. Berrigan, 79, is quietly dying of cancer right now at Jonah House in Baltimore, the non-violent resistance community he helped found in the early 1970s. Over the past few days, his family and community have been gathering by his bedside. 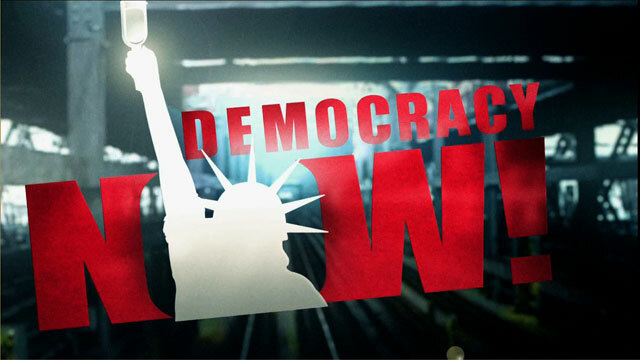 As the U.S. prepares to go to war against Iraq, we are going to spend the hour talking to friends and family of Philip Berrigan and we will rebroadcast excerpts of an interview Democracy Now! conducted with him inside the Petersburg federal penitentiary in West Virginia in March 1998. At the time he was serving time for breaking into a U.S. military base and helping to destroy two nuclear warheads. Berrigan was first jailed in Baltimore in 1967. But he may be best known for an action he conducted a year later with his brother, Father Daniel Berrigan, and seven other activists in Catonsville, Maryland. The group became known as the Catonsville Nine. In May 1968 the group entered a Maryland Selective Service Board, snatched up draft records, carried them outside and set them ablaze with homemade napalm. The Catonsville action sparked a nationwide series of draft-file burnings aimed at halting the Vietnam War. Jerry Berrigan, Philip Berrigan’s son. Frida Berrigan, Philip Berrigan’s daughter. Philip Berrigan, a leading anti-war activist and a founding member of the international Ploughshares group, which organizes non-violent direct action against first strike nuclear weaponry.